Origen was an early church father so zealous he was tortured for his faith but so controversial he was declared a heretic centuries after his death because of some of his unorthodox beliefs. His full name, Origen Adamantius, means "man of steel," a title he earned through a lifetime of suffering. Even today, Origen is considered a giant in Christian philosophy. His 28-year project, Hexapla, was a monumental analysis of the Old Testament, written in response to Jewish and Gnostic critics. Named after its six columns, it compared a Hebrew Old Testament, the Septuagint, and four Greek versions, along with Origen's own comments. He produced hundreds of other writings, traveled and preached extensively, and practiced a life of spartan self-denial, even, some said, castrating himself to avoid temptation. The latter act was soundly condemned by his contemporaries. Origen was born about 185 A.D. near Alexandria, Egypt. In 202 A.D., his father Leonidas was beheaded as a Christian martyr. The young Origen wanted to be a martyr too, but his mother kept him from going out by hiding his clothes. As the oldest of seven children, Origen faced a dilemma: how to support his family. He started a grammar school and supplemented that income by copying texts and instructing people who wanted to become Christians. When a rich convert supplied Origen with secretaries, the young scholar plowed ahead at a breakneck pace, keeping seven clerks busy transcribing at the same time. He wrote the first systematic exposition of Christian theology, ​On First Principles, as well as Against Celsus (Contra Celsum), an apologetic rated one of history's strongest defenses of ​Christianity. But bookwork alone was not enough for Origen. He traveled to the Holy Land to study and preach there. Since he had not been ordained, he was condemned by Demetrius, the bishop of Alexandria. On his second visit to Palestine, Origen was ordained a priest there, which again drew the anger of Demetrius, who thought a man should be ordained only in his home church. Origen retreated back to the Holy Land, where he was welcomed by the bishop of Caesarea and was in great demand as a teacher. Origen had earned the respect of the mother of the Roman emperor Severus Alexander, although the emperor himself was not a Christian. When fighting the German tribes in 235 A.D., Alexander's troops mutinied and assassinated both him and his mother. The next emperor, Maximinus I, began persecuting Christians, which forced Origen to flee to Cappadocia. After three years, Maximinus himself was assassinated, allowing Origen to return to Caesarea, where he remained until an even more brutal persecution began. In 250 A.D., the emperor Decius issued an empire-wide edict ordering all subjects to perform a pagan sacrifice before Roman officials. When Christians defied the government, they were punished or martyred. Origen was imprisoned and tortured in an attempt to make him recant his faith. His legs were stretched painfully in stocks, he was ill-fed and threatened with fire. Origen managed to survive until Decius was killed in battle in 251 A.D., and he was released from prison. Sadly, the damage had been done. Origen's early life of self-deprivation and the injuries suffered in prison caused a steady decline in his health. 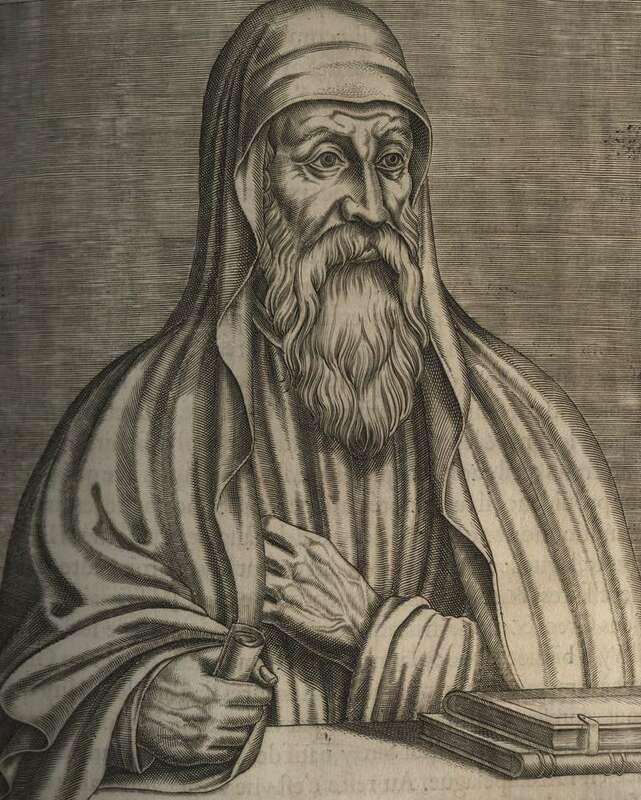 He died in 254 A.D.
Origen earned an undisputed reputation as a Bible scholar and analyst. He was a theological pioneer who combined the logic of philosophy with the revelation of Scripture. When early Christians were brutally persecuted by the Roman empire, Origen was hounded and harassed, then subjected to devastating abuse in an attempt to get him to deny Jesus Christ, thus demoralizing other Christians. Instead, he bravely held on. Even so, some of his ideas contradicted established Christian beliefs. He thought the Trinity was a hierarchy, with God the Father in command, then the Son, then the Holy Spirit. Orthodox belief is that the three persons in one God are co-equal in all respects. Further, he taught that all souls were originally equal and were created before birth, then fell into sin. They were then assigned bodies based on the degree of their sin, he said: demons, humans, or angels. Christians believe the soul is created at conception; humans are different from demons and angels. His most serious departure was his teaching that all souls could be saved, including Satan. This led the Council of Constantinople, in 553 A.D., to declare Origen a heretic. Historians acknowledge Origen's passionate love of Christ and his simultaneous missteps with Greek philosophy. Unfortunately, his great work Hexapla was destroyed. In the final judgment, Origen, like all Christians, was a person who did many things right and some things wrong. What Was Catharism? What Did Cathar Christians Believe? What, Where, Who Was Jesus Before He Came to Earth?